Taking a trip down the River Thames with the London Craft Beer Cruise Company. Much as I enjoy hunting down esoteric taprooms in railway arches or roughing it on a thin wooden bench in a light industrial estate, I am not one to turn my nose up at the opportunity to enjoy a good beer in more pleasant surroundings. 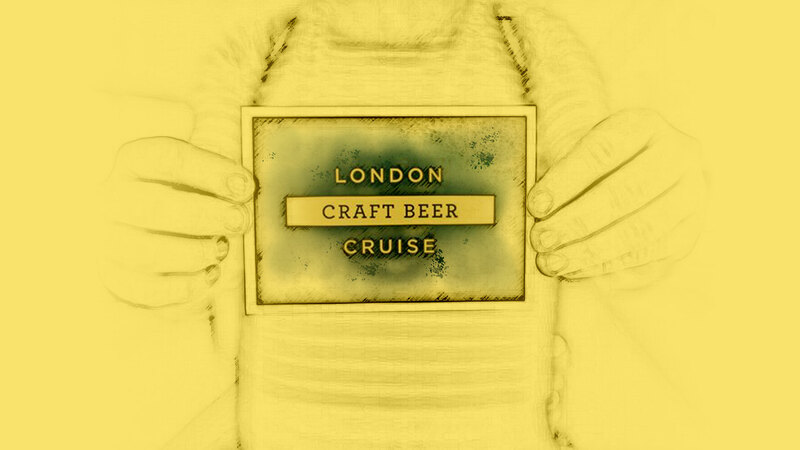 With that in mind, this weekend I joined the first of six voyages the London Craft Beer Cruise Company will be putting on this year. There were almost 200 thirsty drinkers aboard the Pride Of London, ready to taste beers from 10 London breweries, some established names and some newer on the scene. Some websites have touted these cruises as good for stag dos, but this is very much not the vibe founder James Kellow is after. Instead the cruise had drawn a mixed, fairly chill crowd. Maybe less of a beer bubble crowd than you’ll see in some taprooms; more general fun-seekers, fewer beards. This is of course a good thing — it’s just what craft beer needs. Festival Pier, from where the cruise sets off, is right by the South Bank Centre. From there we chugged slowly downstream as far as Greenwich, then back past Festival Pier and upstream as far as Battersea before turning one last time to head for home. If you’re not from London, it may not be immediately obvious just how many of the capital’s famous landmarks are clustered along the river, so let me spell that out for you. Sites you will see (if you’re paying attention) include: the London Eye, the Houses of Parliament and Big Ben, the Old Royal Naval College at Greenwich, the Shard, the Tower of London, City Hall, Battersea Power Station, the not-so-secret Secret Intelligence Service HQ, Tower Bridge, London Bridge, the Cutty Sark, Shakespear’s Globe, the Tate Modern and Tate Britain art galleries, Cleopatra’s Needle, Lambeth Palace, HMS Belfast, Canary Wharf and London’s Docklands, the Millennium Bridge, Saint Paul’s Cathedral, Somerset House, and the South Bank Centre as I’ve mentioned already. Then there’s the Thames itself. The river is a literal breath of fresh air cut through the middle of the city and offers pleasantly widened horizons. Take a moment to feel the sun on your skin, the breeze in your hair, the fresh air in your lungs. To listen to the gentle lapping of the water and even the rhythmic chuntering of the engines. It’s a relaxing way to take in some unique views of the metropolis. This would be pleasant enough on its own, but we get to add craft beer which makes the experience even better. While you’re floating along you can sample beers from Mondo, Two Tribes, Five Points, Canopy, East London Brewery, Howling Hops, Beerblefish, Gorgeous Brewery, Mothership, and Reunion Ales. Your first five beers (175ml pours) are included with your ticket. There were also drinks from Nightingale Ciders, Vestal Vodka and Longflint Cocktails and food from Prairie Fire BBQ. Tickets cost between £38 and £44 depending on whether you opt for the cheeseboard. With two beer sommeliers on board to talk you through beer and cheese pairings, it would be a shame not to. Cruises run once a month from now until September. Disclaimer: I received a free ticket for the cruise. I did not agree to write anything about it in return. I have chosen to do so because I enjoyed my afternoon.